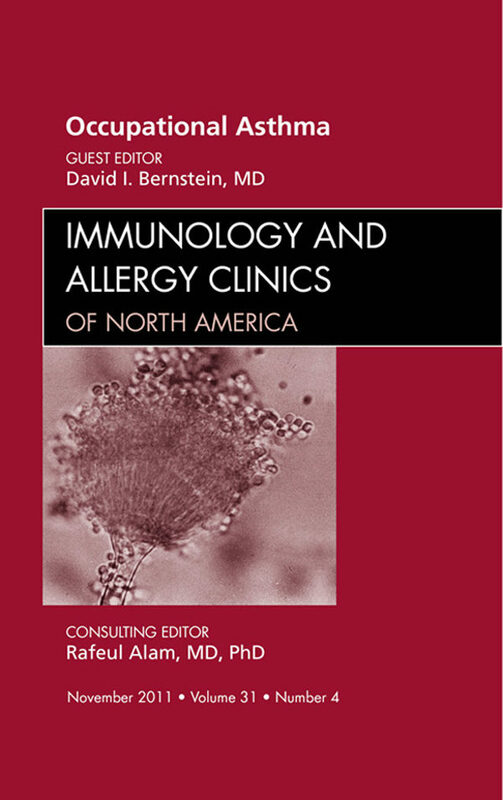 This issue of Immunology and Allergy Clinics of North America brings the clinician up to date on essential topics in occupational asthma. Articles cover definition; classification; epidemiology; old and new causes; pathogenesis and disease mechanisms; clinical assessment including differential diagnosis; and management of work-related asthma and related conditions. Other subject matter includes occupational rhinitis; irritant-induced asthma and reactive airways dysfunction; hypersensitivity pneumonitis and related conditions; and evaluation of impairment and disability.